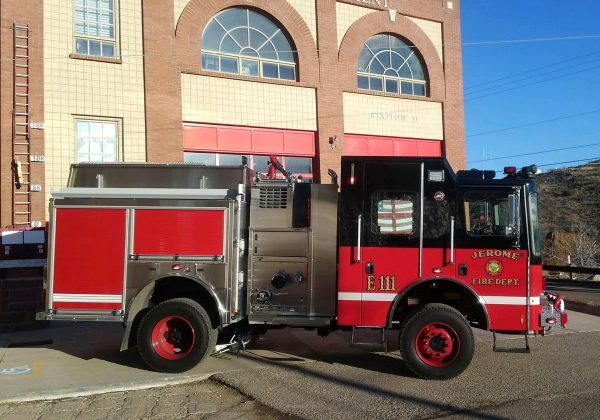 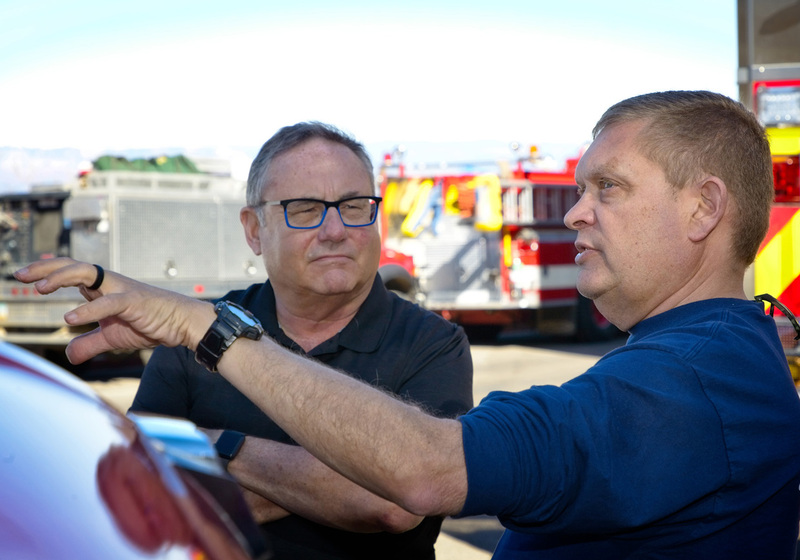 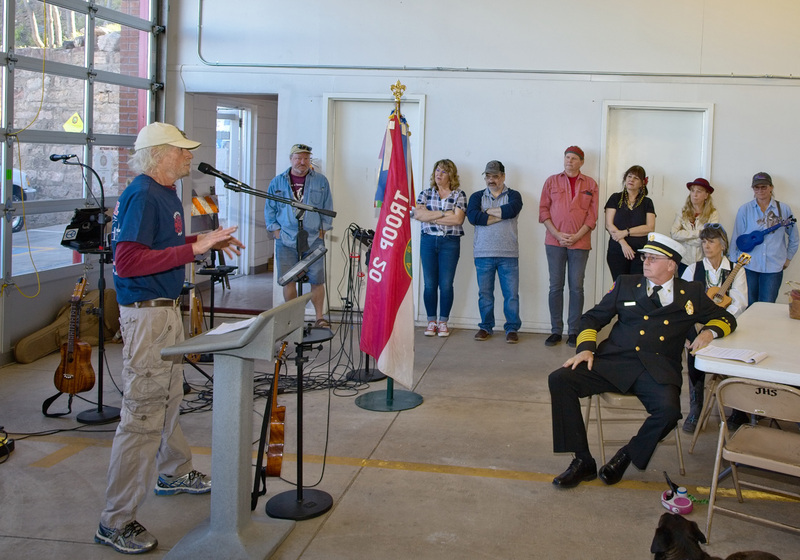 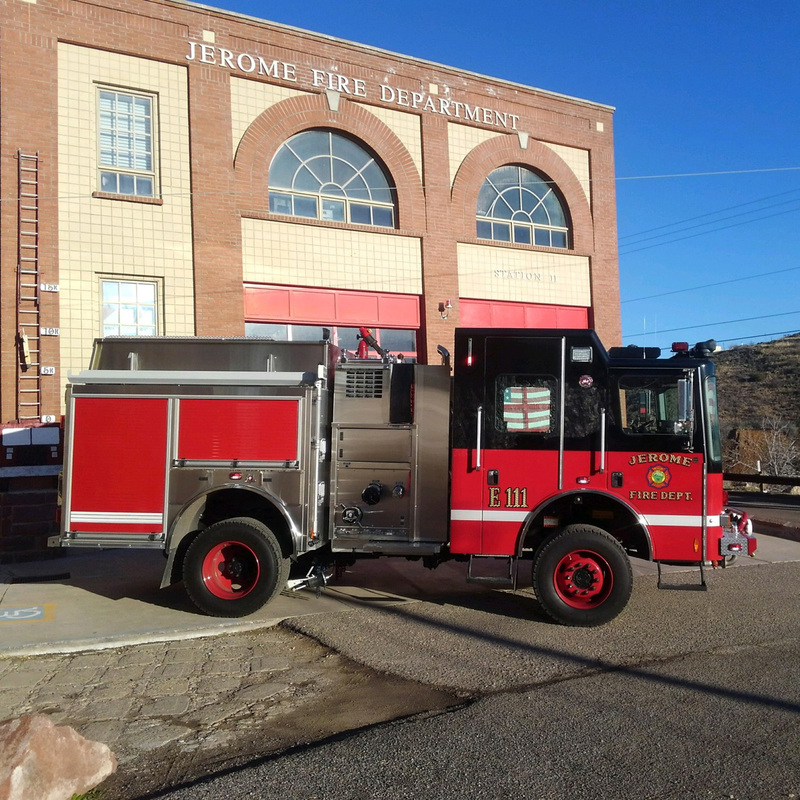 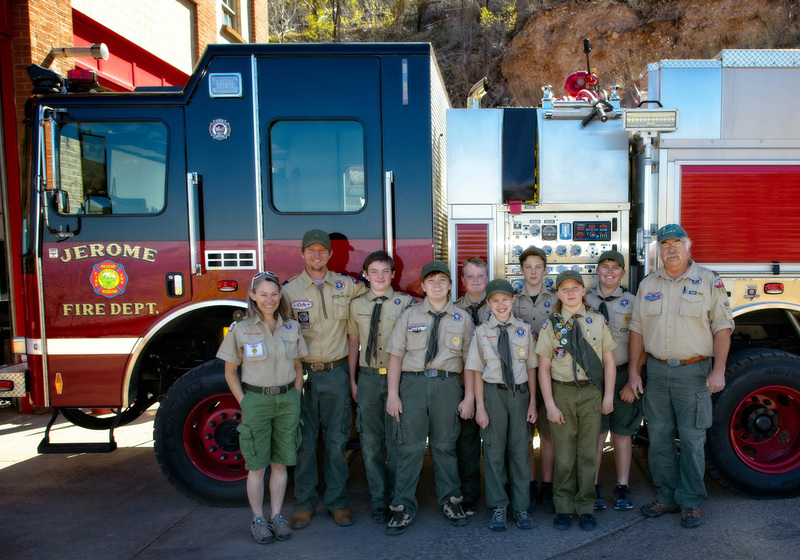 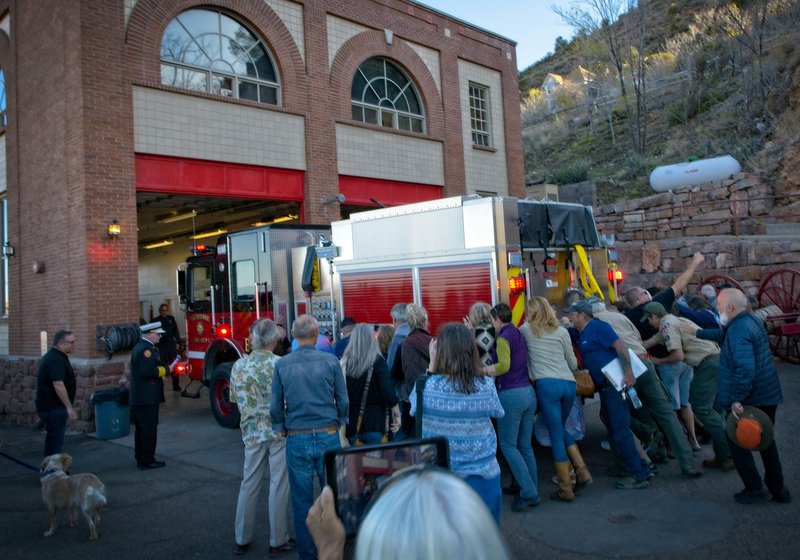 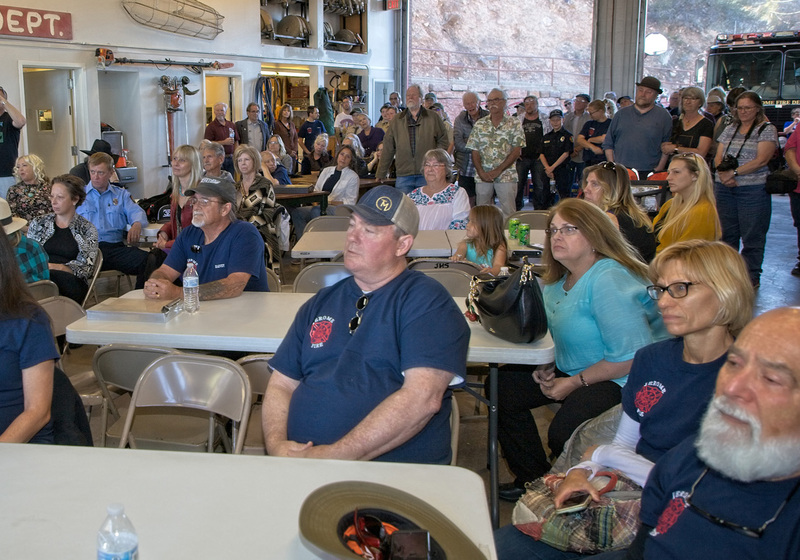 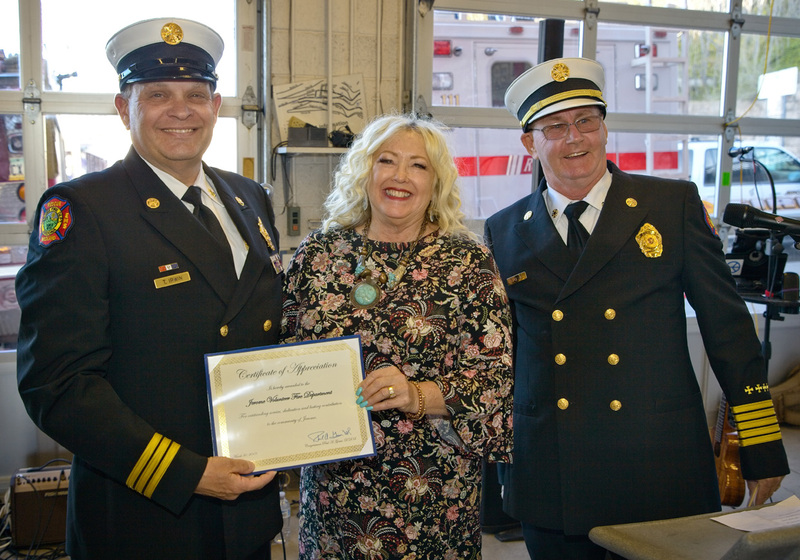 Jerome Volunteer Fire Department – Keeping Jerome Safe since 1899 . . . 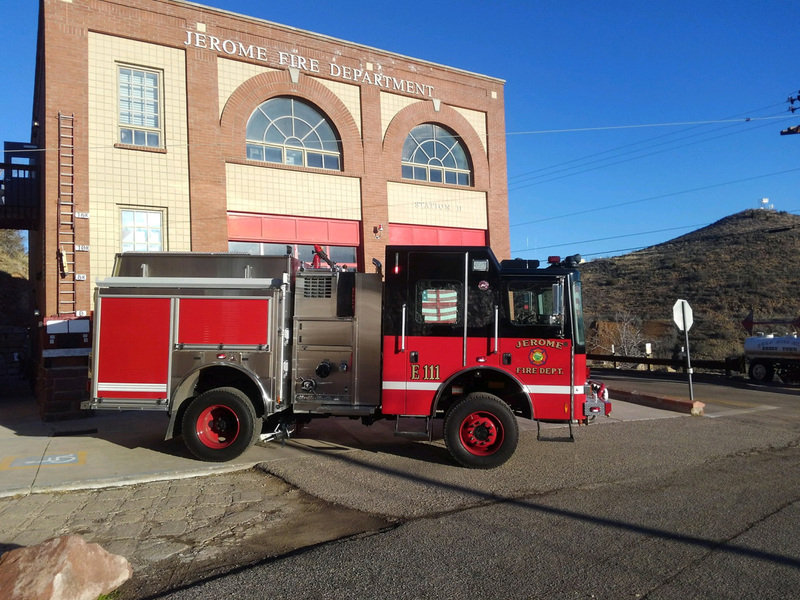 The Jerome Fire Department services the Town of Jerome in north central Arizona. 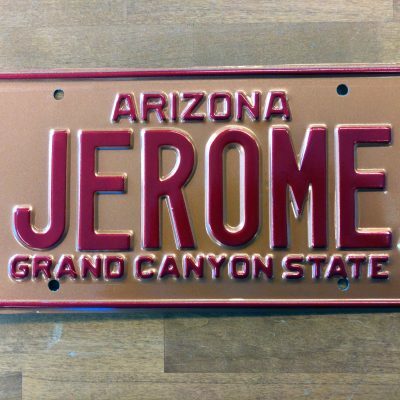 Jerome is situated 5,000 feet up on the side of Mingus Mountain which itself rises to over 7,000 feet. 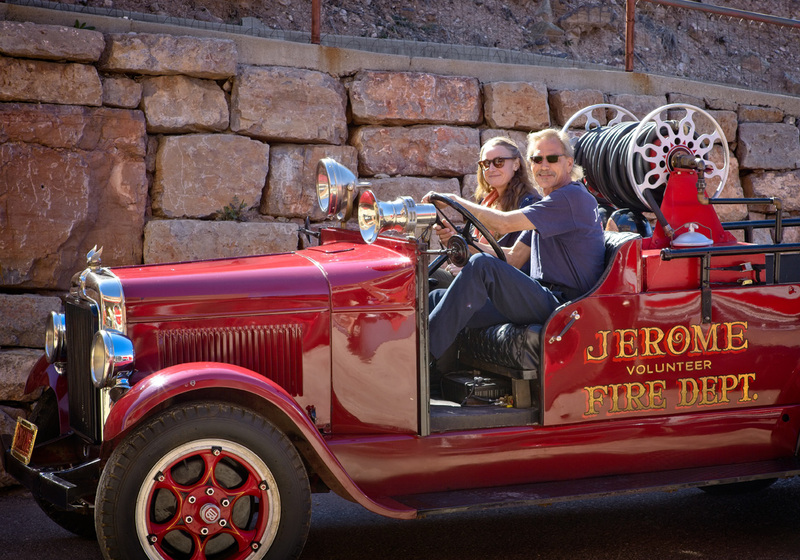 Originally a booming copper mining town, Jerome is now a thriving artist and tourist community of approximately 444 citizens. 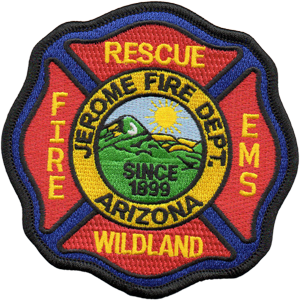 Jerome may sit on only 1 square mile of land, yet our service area is 200 square miles. 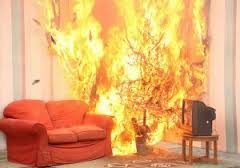 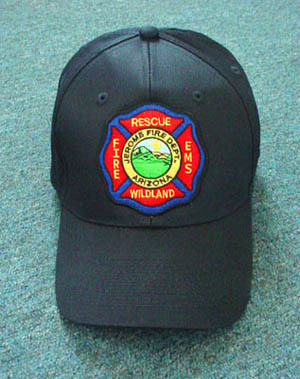 We have approximately 20 paid-on call Firefighters and EMT’s with a full-time paid Chief and Assistant Chief. 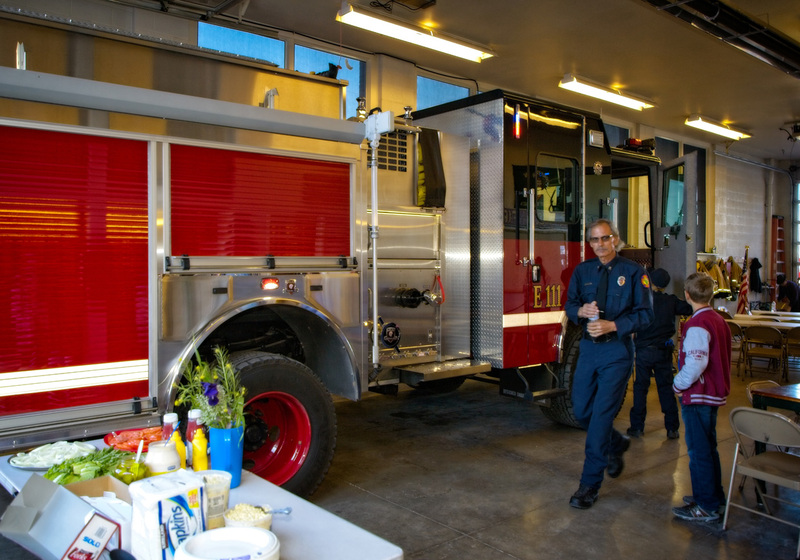 We typically respond to 500+ calls per year with 560 calls run in 2017. 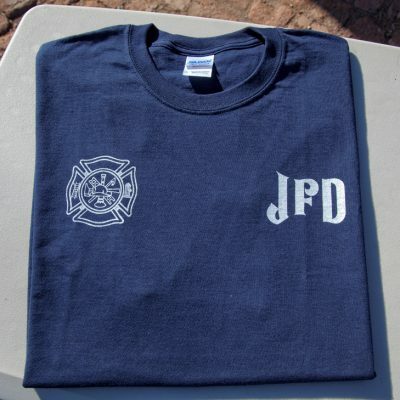 The Jerome Fire Auxiliary sells t-shirts, patches in order to support our Firefighters and EMT’s.